Are you planning to create your first website? Do you want to start it for free? Then, Wix is a great platform to consider. 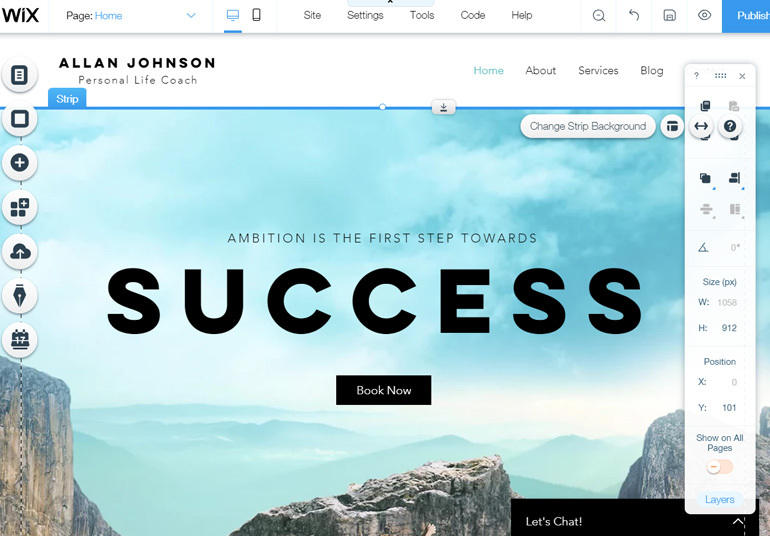 Wix is a simple, beginner-friendly website builder that allows you to build a website easily without worrying about code. In this Wix review, we’ll examine various aspects of the platform including its features, functionalities, pricing, and more, to help you decide if it’s right for your website needs. Wix is a simple website builder that allows you to create any type of website with ease. You can quickly create a beautiful blog, eCommerce store, business website, online portfolio, photography site, or any other type of website using Wix. It comes with an easy-to-use drag and drop builder with which you can customize anything and everything on your site and build the design you want. 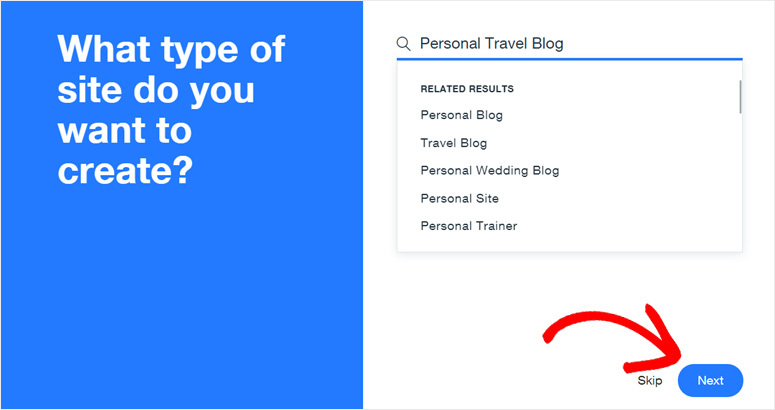 If you want an even easier option, you can use Wix Artificial Design Intelligence (ADI) which builds a personalized website for you based on your answers to a few simple questions. For advanced users, there’s also the Wix Code option. Wix is a fully-hosted platform which includes hosting and domain services for you. In addition, it’ll handle your website security, and provides you with easy tools for search engine optimization (SEO). In other words, it’s a full package website building service, which is great for beginners. Wix.com was founded in 2006 with the goal to empower anyone to create their own website. It now has over 110 million users across 190 countries. It’s currently one the most widely-used website builders and utilizes the second most-used cloud-based website builder technology. 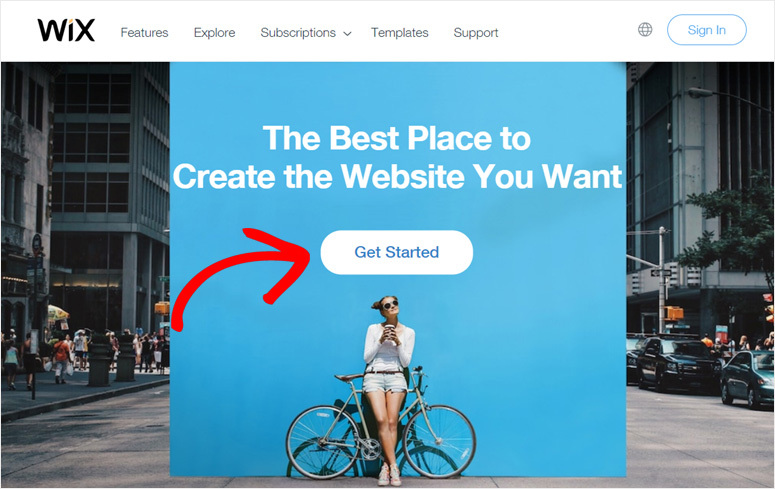 To start making your new website on Wix, you’ll need to visit the official Wix website and click the Get Started button. In the next screen, you’ll see the Log In or Sign Up options. Since you’re just starting out, you’ll need to choose Sign Up. 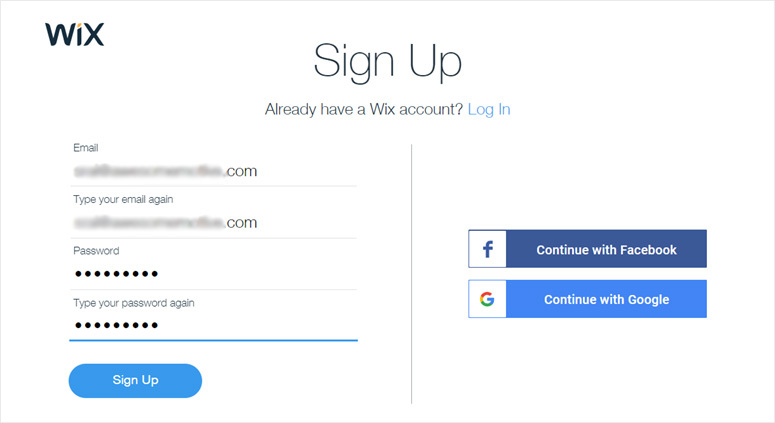 Then, you’ll need to insert your email address and a new password for your Wix account. After you enter the required email and password, click the Sign Up button. On the next screen, you’ll see be asked to answer a few questions; however, you can skip this. 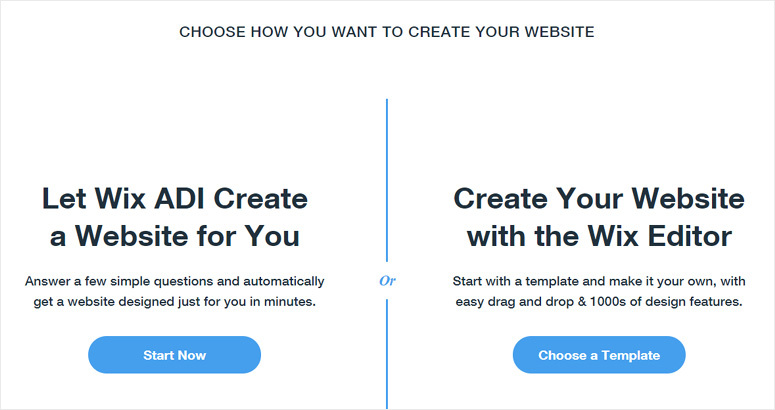 Now, you’ll see 2 easy Wix options for building your site: Wix Artificial Design Intelligence (ADI) and Wix Drag and Drop Editor. 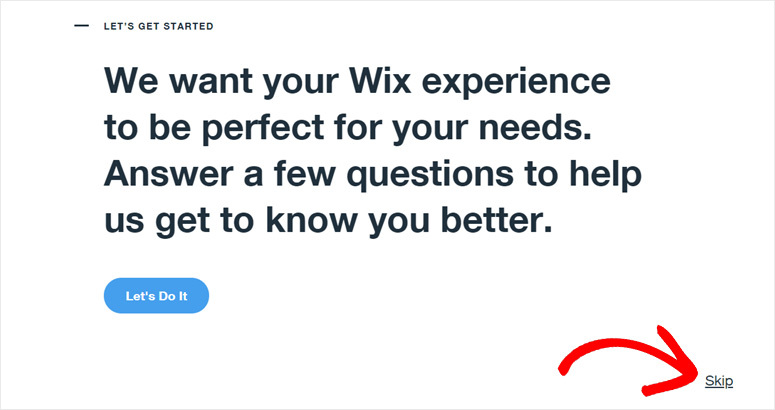 If you choose Wix ADI, you’ll be asked a few simple questions, and on the basis of your answers, Wix’ll automatically build a personalized site for you. 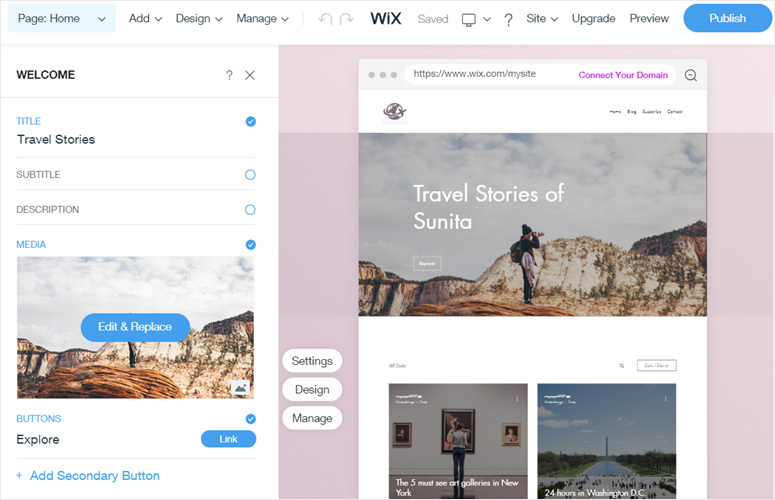 Whereas, Wix Editor allows you to choose a template, and customize it with their drag and drop builder. When we compared these 2 options, we found Wix ADI easier; so let’s see how that works first. Click Start Now below the Wix ADI option to proceed. Now, you’ll see the first question: What type of site do you want to create?. You can enter your business name or website type, then choose a suitable option. After that, click Next. 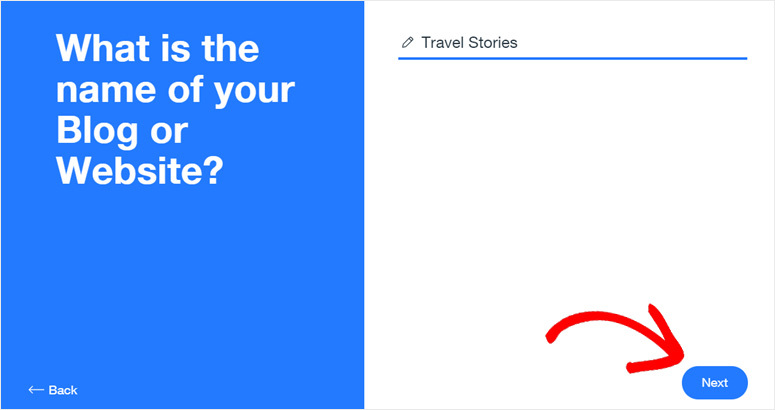 Now, you’ll be shown the features you’re most likely to use on your site. You can check all, some, or none as per your desire. Once you’ve made your choices, click Next. Then, on the next screen, you’ll be asked to insert the name of your website. Choose the name you’d like to have and enter it there. After you fill in your website name, click Next. Then, you’ll be asked to enter your physical location. If you think it’s not necessary, you can skip this step. Next, you’ll see the Review and edit your info page. You can add a new logo for your site, change your website name, email address, add contact details, and social media. Then, click Next. On the next screen, you’ll be asked to choose a style. 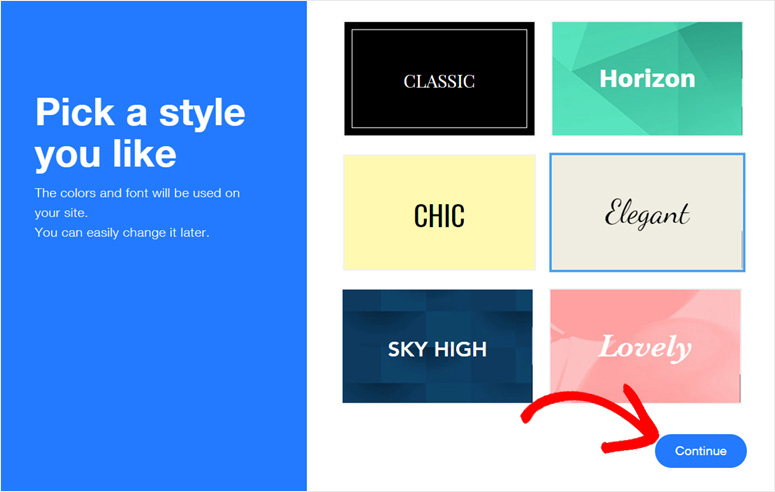 You’ll need to choose the colors and fonts you want to use via a Style. For this example, we’ll pick Elegant. After you make your selection, click Continue. 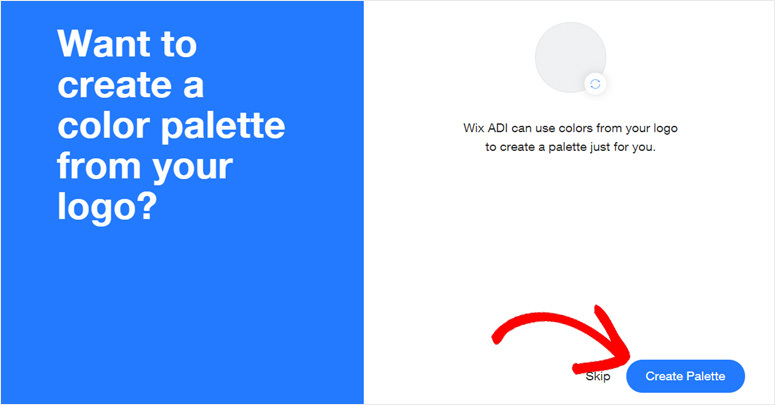 Then, you’ll be asked if you want to create a color palette from your logo in the next step. You can click Create Palette. 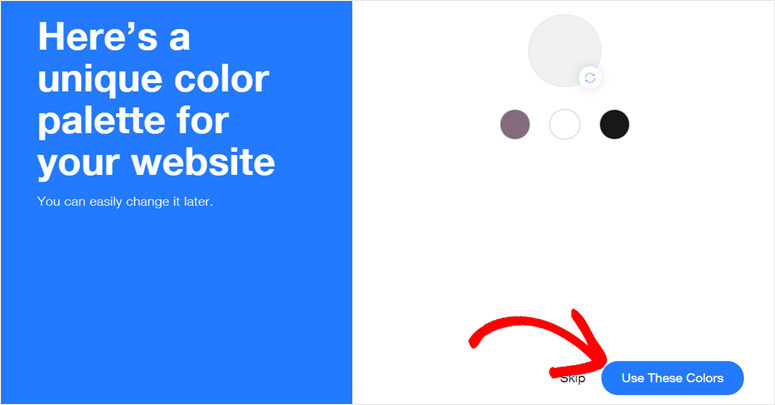 Now it’ll create a unique color palette for your website. You can click Use These Colors to proceed. Then, Wix ADI starts creating your website. It automatically adds the features you’ll need. It adds a blog section, contact section, chat features, and other useful elements. It also makes your site mobile-responsive. 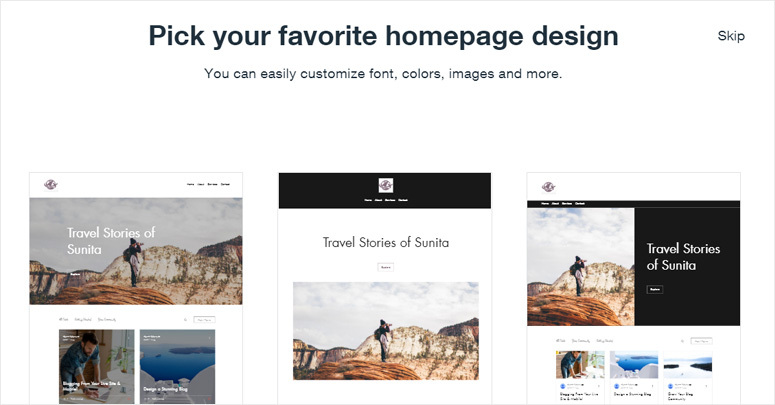 After the automatic site-making process is completed, you’ll be asked to choose a homepage design. You can choose the design you like the most by clicking it. Next, you’ll a preview of what your finished website could look like. However, you’ll be given edit options for each section or each element if you mouse hover on them. So if the preview isn’t perfection, feel free to make changes before publishing. If you want to edit anything, like changing the title, adding a description, or changing the header image, you can simply click on the item you want to change. Then, it’ll show an editing panel on the left side and live preview to the right. Now, you can live preview every change you make on the editor. You can edit anything you want. When you’re happy with the design, you can click the Publish button at the top. In the next screen, you’ll be able to choose a domain name. It has 2 options: use a free Wix subdomain or connect your custom domain. For beginners, Wix provides a free Wix subdomain option with which allows you to have a Wix website completely free. Your Wix subdomain will have a format like this: https://username.wixsite.com/sitename. For example, you can see in the screenshot below. If you want to use a custom domain name like mystunningwebsite.com, or isitwp.com, you’ll need to subscribe to a Wix premium plan. After you add your website name, click Publish and Continue. Now your free Wix website will be online. You can now view your site. That’s it! It’ll take you just a few minutes to answer Wix’s questions, and Wix ADI will do the rest! 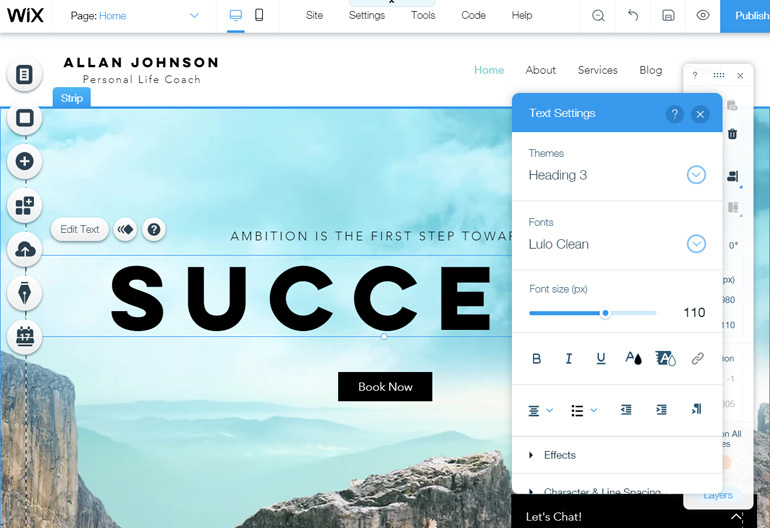 Another easy option for creating a free website in Wix is using the Wix editor, their user-friendly drag and drop builder. 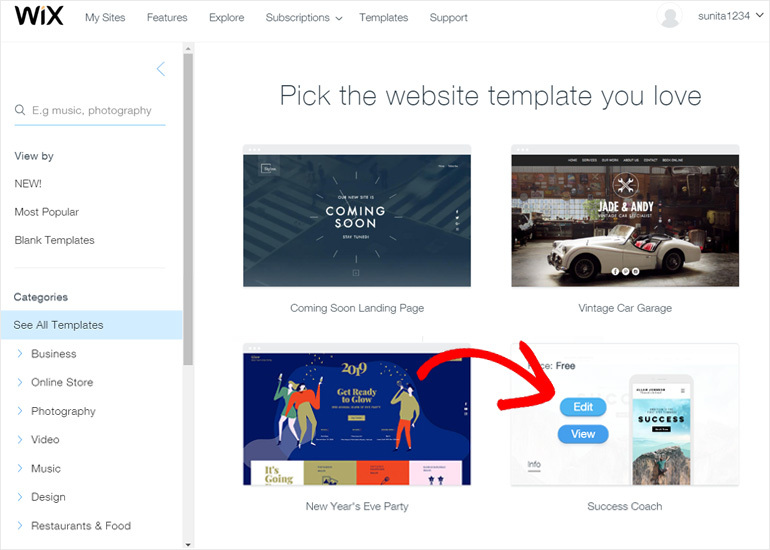 If you choose Wix Editor, you’ll first need to choose a template to start your site. You can preview the available templates, and choose the one you like most by clicking Edit. Next, you’ll see the drag and drop Wix Editor interface open. Now, you can easily change anything simply by clicking directly on any element you want to edit. Then, it’ll open the editing options right there. You can also drag and drop any element/ block anywhere within your template. It’s very easy to customize the entire site design with the Wix Editor. 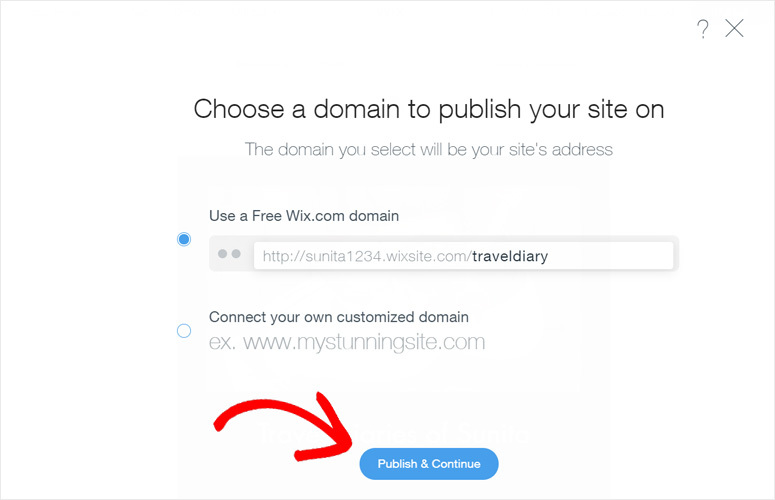 Once you customize everything you want, click the Publish button to make your Wix website live. In addition to Wix ADI and Wix Editor, Wix has yet another option for creating a free website: Wix Code. This option was specifically designed for professional web developers who have good coding skills. Using Wix code, you can customize your entire Wix website design and add more powerful functionalities to it. To get started, you’ll need to turn on Developer Tools first. With the professional-looking themes at Wix, it’s easy and quick to make a stunning website. After you’ve created a website in Wix, you’ll need to promote to drive more traffic to it. Fortunately, Wix has powerful marketing tools built in just for you. 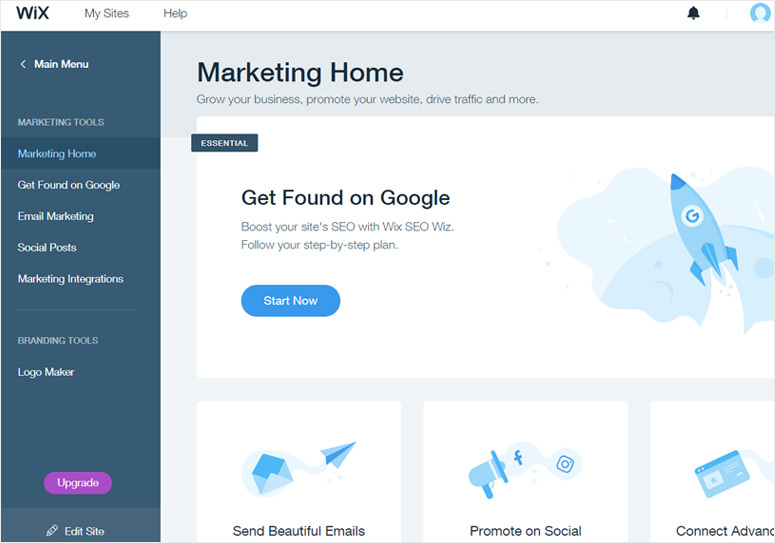 There’s a user-friendly Wix SEO Wiz to help you boost your website’s rank on Google search results. It’s a step-by-step plan which guides you to improve your site’s visibility online. In addition, you’ll find powerful tools for email marketing, social posts, marketing integrations, and logo maker for branding your business. To help you add more functionality to your Wix site, you can use Wix apps. 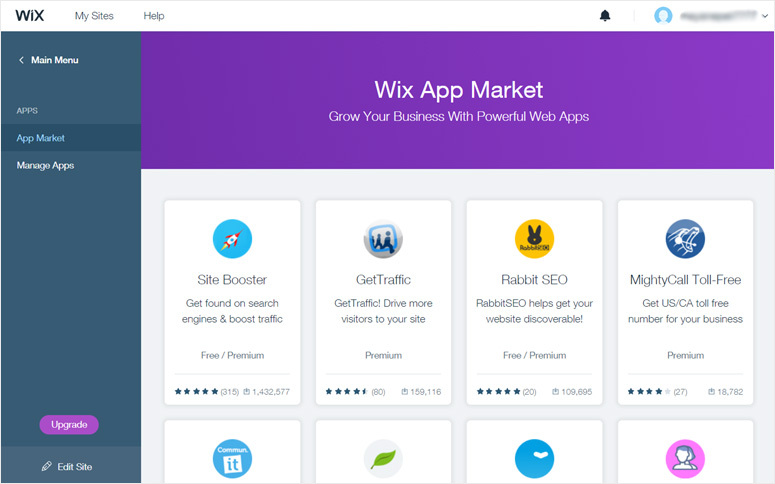 There’re over 200 powerful free and premium Wix apps for you to utilize. These apps are useful for a variety of purposes including analytics, chat, forms, events, bookings, photography, video, music, etc. 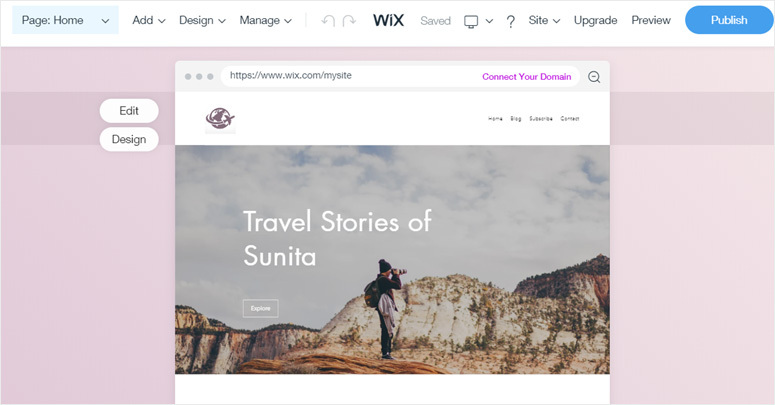 Wix has both free and premium plans for making your website. 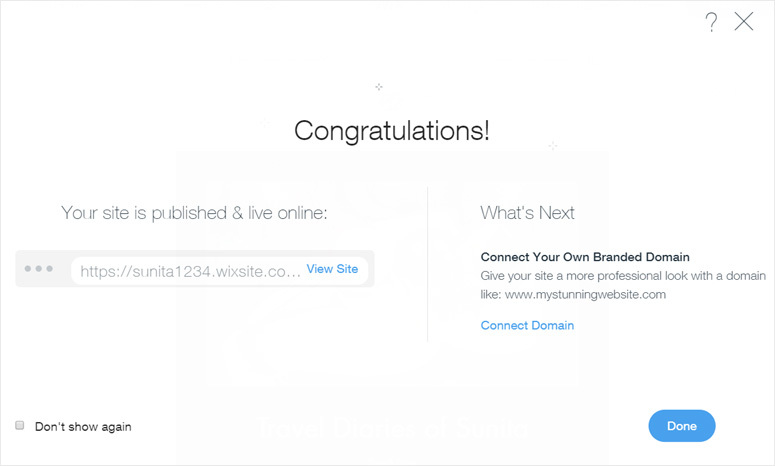 It allows you to build a complete website for free if you’re okay with a Wix subdomain like this: https://username.wixsite.com/sitename. But, if you want to use a professional custom domain name, you’ll need to subscribe to one of their premium plans. 1. Connect Domain: The most basic plan is called Connect Domain which costs $4.50 per month. With this plan, you can connect a custom domain; however, you’ll need to register a domain on your own first and later connect it with your Wix site. You should also take a look at our article on best domain name registrars to buy a domain. 2. Combo: It costs $8.50 per month. With this plan, and all the plans above it, you’ll get a free domain from Wix. 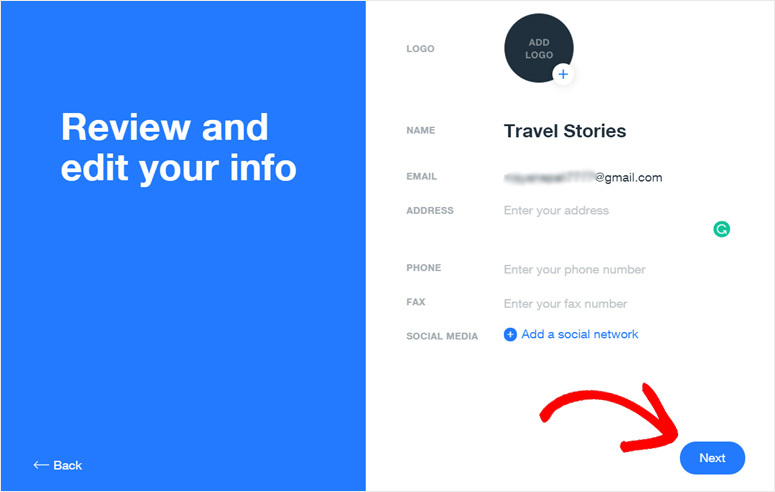 However, if you’ve got a domain already registered, you’ll have the option to connect to it. 3. 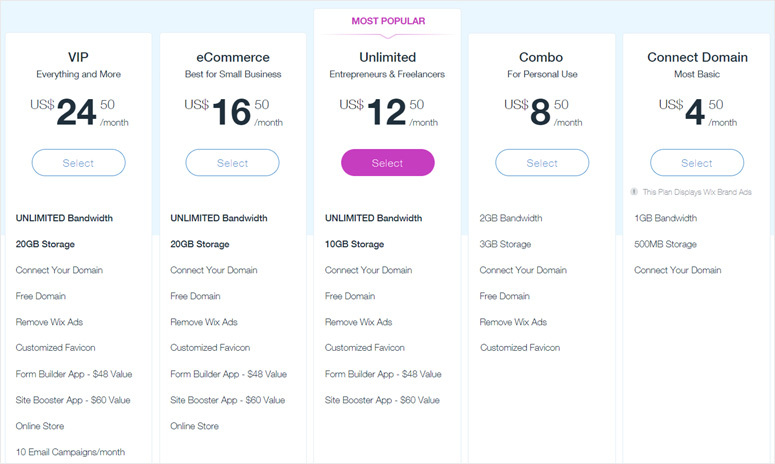 Unlimited: This plan offers unlimited bandwidth, free domain or connect domain, remove Wix ads, customized favicon, etc. It costs $12.50 per month. 4. eCommerce: This plan was especially designed for eCommerce sites. It has all the features in the Unlimited Plan plus additional online store features. It costs $16.50 per month. 5. VIP: It’s the most advanced Wix premium plan. It costs $24 per month. It has all the features in the eCommerce plan plus an additional email campaigns option and priority support. Wix has a massive collection of articles in the help center for almost any query you might have. You can browse through the articles and get your issues solved in no time. However, Wix doesn’t have any instant support options for its basic users. They offer priority support to only the VIP plan users. WordPress allows you to host your website on your own servers; hence, you’ve full control over your site. Whereas, with Wix, you’ll have limited control over your site as Wix itself hosts your site. Worst of all, Wix can discontinue their service or suspend your site for any reason at any time. 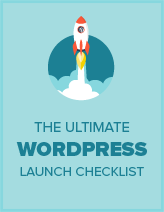 WordPress offers you limitless design possibilities with thousands of free and premium WordPress themes. There’re thousands of free themes at the official WordPress.org theme repository, and several more thousands of premium themes at theme marketplaces and third-party theme company websites. On the other hand, Wix has just around 500 templates. 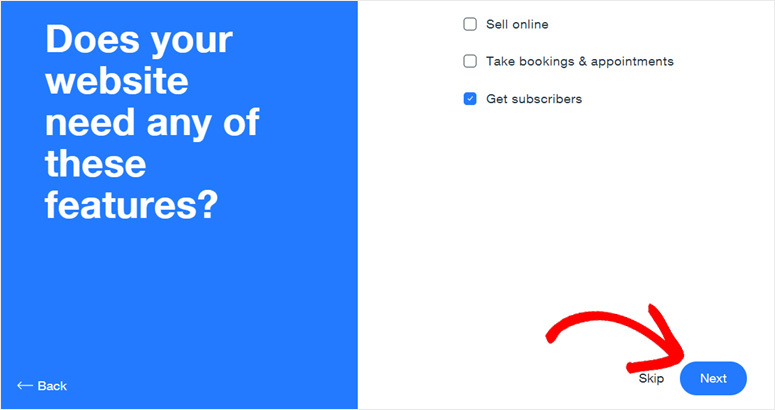 To start a Wix site with a custom domain name, you’ll need to buy their Combo plan (at least) or get a new domain and connect with their Connect Domain plan that costs $8.50 and $4.50 per month respectively. Whereas you can start a WordPress website for just $2.75 per month with Bluehost. To learn more, read our full Wix vs. WordPress comparison. Wix is one of the most popular website builders on the market with easy-to-use features that allow you to build a simple website. It enables anyone to build a simple website or blog to showcase content; however, due to a limited number of templates and tools, you may not find exactly what you need to succeed long term. It offers a free website plan for beginners which is good for students to start their own blog for free. You can always use the free plan if you’re okay with an ugly domain with your username appended with wixsite.com/yoursitename. But, if you have to upgrade your site or need a custom domain, the pricing options aren’t cheap for low-budget users. You may also want to check out these Wix alternatives and best web design software.